Welcome back to the Jargon Jar! 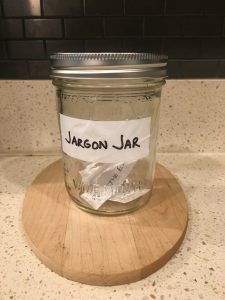 If you’re here for the first time, make sure to read our introductory Jargon Jar post, which explains this series and why none of us have the bandwidth we think. In our past installments, we’ve forced leverage out of our vocabulary and committed to never touch base offline again. The world is indeed improving, post by post. Today, we expand our human RAM and battle ‘bandwidth,’ a technical term regularly bent and battered by casual users. Let’s get started. What does bandwidth really mean? Translation: Capacity. But really, time. Bandwidth is an interesting piece of jargon because its usage and translation don’t even match its roots. When someone asks if you have bandwidth, they’re talking about time, provided you’re not a cable repair person or IT architect. Yet curiously, bandwidth has absolutely nothing to do with time. Merriam-Webster defines bandwidth twofold: “a range within a band of wavelengths, frequencies, or energies” and “the capacity for data transfer of an electronic communications system.” Bandwidth refers to the literal width of a band that transmits type of communication (cables, wires, etc.) As understanding of electromagnetic wave technology grew, chunks of the electromagnetic spectrum were termed ‘bands,’ referring to their appearance as strips of various widths along the spectrum. Telephone lines and cable television exploded in the early 20th century, and their respective bands could only carry a finite amount of information at once. This finite amount of space for information became known as bandwidth. Thus, bandwidth entered communications jargon. From there, the term exploded in popular usage as internet became available in households, until it became common enough that people used it as a substitute for any kind of limited resource, such as time. But that’s not how we use bandwidth, is it? Bandwidth can mislead your audience, especially if you’re working in a technical environment such as telecommunications or computing. Ask an engineer or data scientist if she has bandwidth, and you might get back a literal answer about hardware, processing power, and storage needs. In more colloquial business settings, bandwidth has a strange effect of dehumanizing a person. Kara, this report needs editing before it goes to the client. Do you have the bandwidth to help? Kara is a person, not a cable modem. And as a person, she operates in space and time. Treat her like a person. Bandwidth here is a soft, detached, and indirect way of requesting her help. If you’re actually speaking in technical terms—be it cable broadcasting or internal signal processing—then make sure to use bandwidth specifically and intentionally. But for the vast majority of us discussing the capacity and resources for doing work, opt for accuracy. Time, energy, capacity, room and space are more appropriate and accurate substitutes for bandwidth. So use them! Be strong, not soft. If you’re asking someone to devote their time to a task, acknowledge that! By framing people’s time as a commodity, you’re expressing empathy, and in turn, more likely to get a positive response. Try “Do you have time to help me out?” and revel in relief when you’re clearly understood. Bye bye, bandwidth. 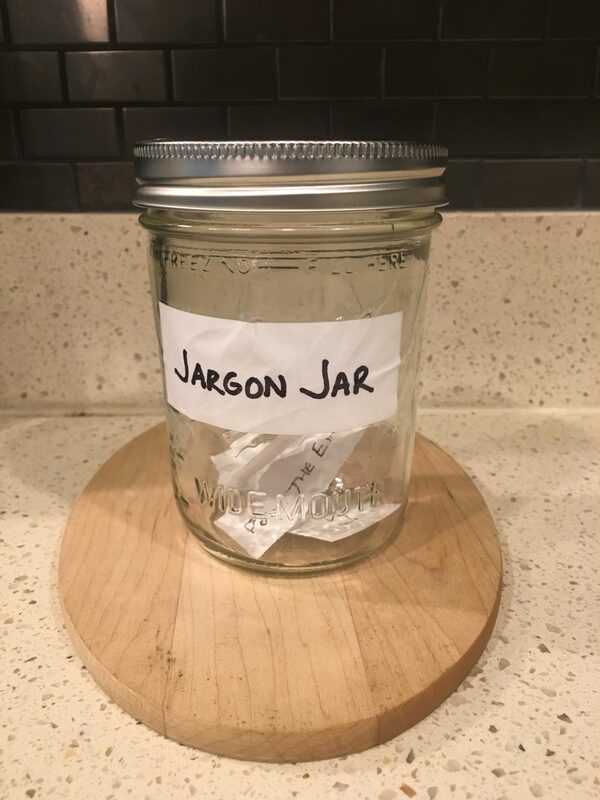 This jar has more than enough capacity to accommodate your confusing, incorrectly rooted existence. We hope you find peace. 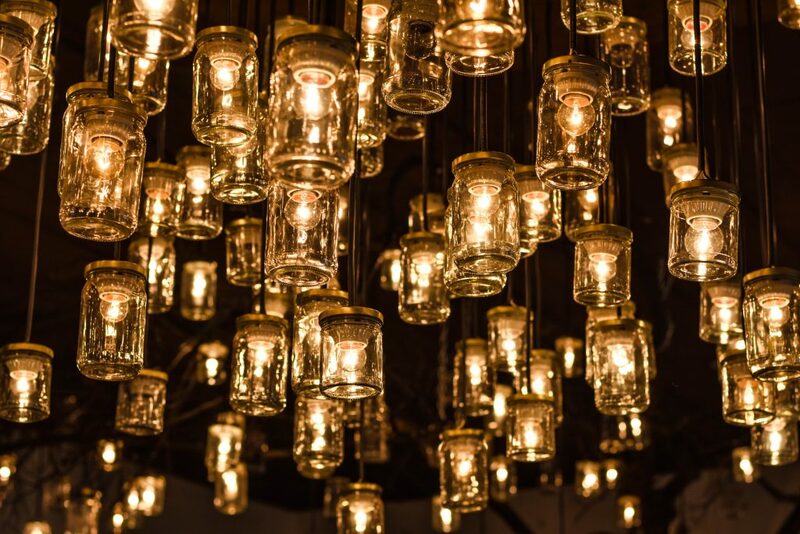 We make regular donations to the Jar in this recurring Bottle Talk series. We want your thoughts! Which words and phrases cause you to roll your eyes? What’s the worst jargon you heard this week? 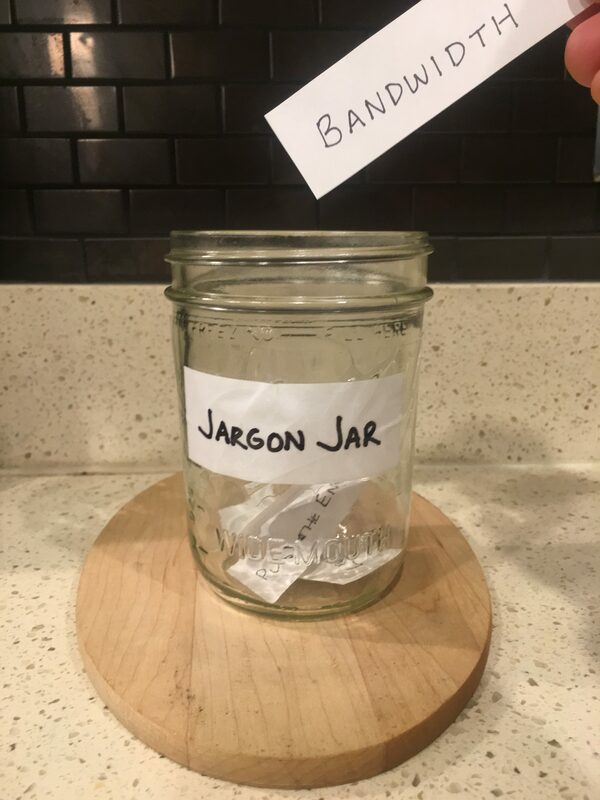 Leave us a comment below, and help us fill the jar.